Task management software is great for monitoring and organizing the things you need to do at work or at home. These programs are specially designed to simplify your everyday to-do lists so you will never forget to accomplish a simple task again. 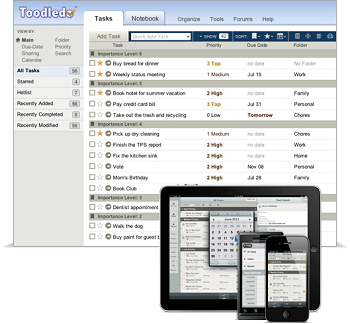 With ToodleDo, you can organize your tasks through a web-based application. Task organization is based on level of importance and you can also add subtasks, contexts, folders and tags to each task. The software has a partner iPhone app so you can also integrate it with your mobile calendar. Pros: Free to download, can track time spent before completing a task, integrates with email and calendar. Cons: Pro version costs $14.95 per year, iPhone app costs $1.99 to download, Android and Blackberry not supported. 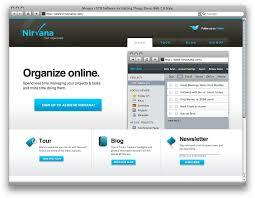 Nirvana is a cloud-based task management program. It provides a clean way of organizing tasks through checklists. Its white and blue user interface is easy to navigate and you can also add subtasks to each task posted. Pros: Free to use, supports exporting of data in Excel (CSV), XML or JSON formats, with Contacts and Logbook feature. Cons: Upgraded version costs $5 per month. 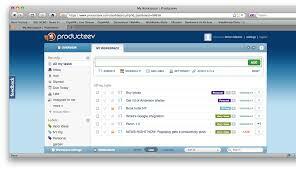 Producteev is a web-based task management program that you can integrate with Google calendar to synchronize to-do checklists. The software has a clean and nice layout which is easy to understand. It also supports group task management if you want to organize and monitor your team’s tasks. Pros: Free to use for up to two registered users, integrates with Google Calendar and other apps, neat UI. Cons: Costs $5 per month for Plus account, $20 per month for Premium account and $30 per month for Platinum accounts. DoIt.im is a notebook-inspired task management program. It can work well across multiple platforms and supports app for iOs and Android. The desktop version of the program for Mac and Windows is available in Premium accounts. It is free to use for 30 days before you can upgrade to a Premium account. Pros: Neat UI, easy to use, icon-based tasks, with apps for iOs and Android. Cons: Pricing for Premium account available upon request. Flow is a Mac-inspired task management tool for Windows. The developers of the software focused on design layout to improve usability. It can be used as a single account or for multiple accounts especially in managing employees. The software also comes with a partnered iPhone app. Pros: With partner iPhone app, Mac-inspired layout, simple UI, works with multiple accounts for team management. Cons: Costs $9.99 per month to download for individual accounts, costs up to $99 per year for group accounts depending on the number of accounts to be enrolled. ToDoist is a neat web-based task management program that will let you integrate your to-do list with Gmail and other plug-ins. 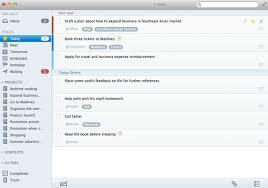 The app can also support task management for teams through WeDoist. The software can integrate with ToDoist apps made for Android, iOs and Mac. It also supports synchronization with Gmail, Outlook and Chrome. Pros: Free to download, with desktop platform for Windows, with partner app for Android and iOs, supports team accounts. Cons: Costs $29 per year for Premium accounts. 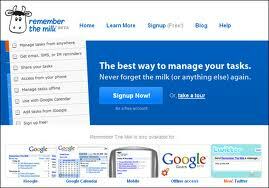 Remember The Milk or RTM is one of the earliest task management software released in the market. Aside from the web-based app, it is also great to use across different platforms like in iOs, Android and Blackberry. 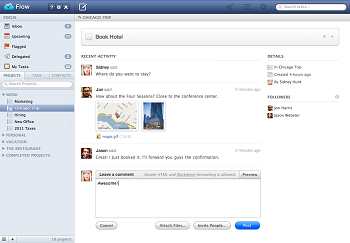 It also integrates well with Microsoft Outlook, Google Calendar, Gmail, Twitter and Evernote. It has a clean user interface and organizing your tasks is simple and easy to learn. Pros: Free to download, easy to use, clean UI, available in iOs, Android and Blackberry. Cons: Pro account costs $25 per year. Strike provides a unique way of organizing upcoming tasks. You don’t even need to sign-up for an account; when you visit the site, a unique URL generated just for you will be provided. Through this URL you can start creating your own to-do list in a beautiful wooden floorboard-inspired UI. Pros: Free to use, minimalistic design, no need to sign-up for an account. Cons: More features available for upgraded accounts. 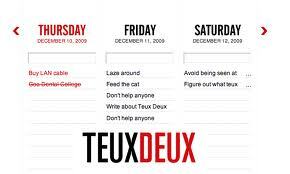 TeuxDeux is minimalistic but packed with lots of task management features. It has a partner iPhone app that can be synced with the web-based platform. One distinctive feature of this app is its “recurring to-do” feature which you can set to automatically add a task to your daily to-do list. 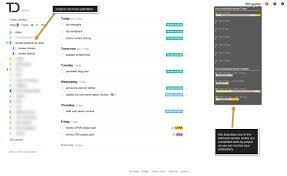 Pros: Free to download, minimalistic design, with “recurring to-do” feature. Cons: App for Android, Blackberry and Windows not supported. 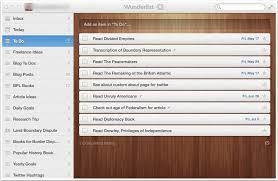 Wunderlist is another web-based task management program that can also be used in iOs, Android and Windows. The user interface is clean and neat; their most popular wooden-inspired background fits well with listed notes and bullets. The software is easy to use and sorting to-do lists is organized by date. Pros: Free to download, available in iOs, Android and Windows, clean UI. Cons: Confusing to differentiate priority tasks from normal tasks. It is now easy to organize the things you need to do by using a task management program. Try the software mentioned above and select the perfect one that will meet your needs. Consider using multi-platform programs so you can manage your tasks anytime and anywhere you want especially if you are always on the go. Students should bear in mind that the individuals reviewing their entrance essays have read thousands of essays. So they should employ all the possible means to ensure it stand out as the best. have a peek at this web-site for all kind of papers writing and it is very essay from others any writing service providers….. But I missed out to see the one that I have been using i.e. Invoicera. It’s an online tool helps us to manage our tasks and track the time spent on each task. It helps me to increase my productivity and keeps me well organized. Perfect list But you have missed our Best invoice tool Moon invoice. Its work with iCloud sync for iOS and Mac OSX for small businesses and individual. You can Create invoices, estimates, purchase orders, customers, vendors and payment receipts etc. (http://www.mooninvoice.com).